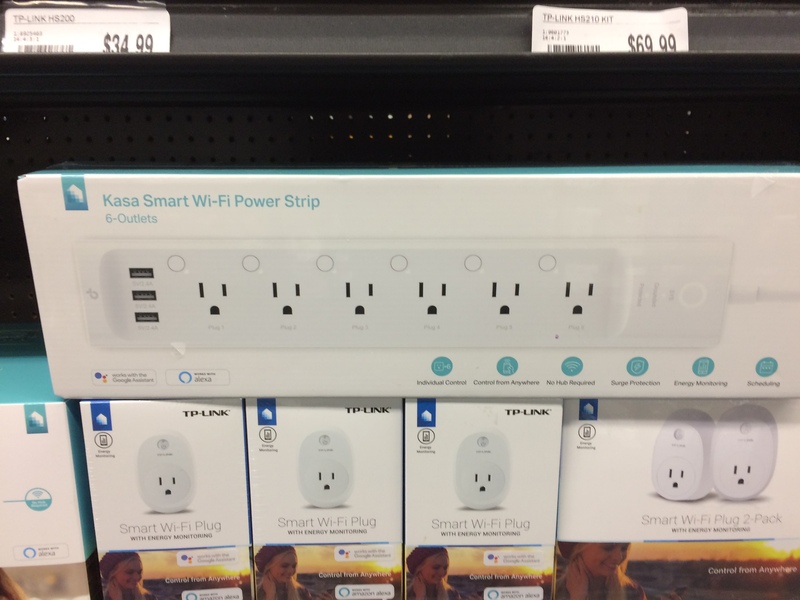 Looks like Fry's Electronics now has a cool now product offering from TP-Link. Each of the six individual outlets has its own toggle button as well as full programmatic control via its API, the Kasa app, Alexa's and Google's Home APIs. I think it was $79 which is a better deal than several of the HS-variety of these smartplugs. This could be an excellent way of individually controlling the Raspberry Pi, the printer, any exclosure-related things, LED strips, external heaters, dedicated webcam and camera lightning. My colleague in work literally tried that yesterday. While alexa worked, the plugin in octoprint that he wanted to use to control it, does not. I'm assuming that's my plugin he is referring to. I think there is an issue posted on the repo to expand support for that device, I just haven't had the time to do anything about it, and definitely haven't seen anybody send me coin to buy one for development/debugging. @jneilliii, How does one send you the coin to allow you to have the time do upgrade the plugin? I put a "PayPal" link at the bottom of all my plugins. I don't foresee this change being too difficult to integrate, it's just a lot easier to develop when you have the specific device. That's one of the reasons I've made headway into the energy monitoring stuff, because someone donated the funds to purchase one. With this type of device though it makes me think of other options like workflows, or chained power toggling so you could power off a printer first, and then lights, and then the pi, etc. That type of change would take some time, but controlling the different plugs I think I could do pretty quick. TP-Link Smartplug Work inspired by OctoPrint-PSUControl and TP-Link WiFi SmartPlug Client, this plugin controls a TP-Link Smartplug via OctoPrint’s nav bar.